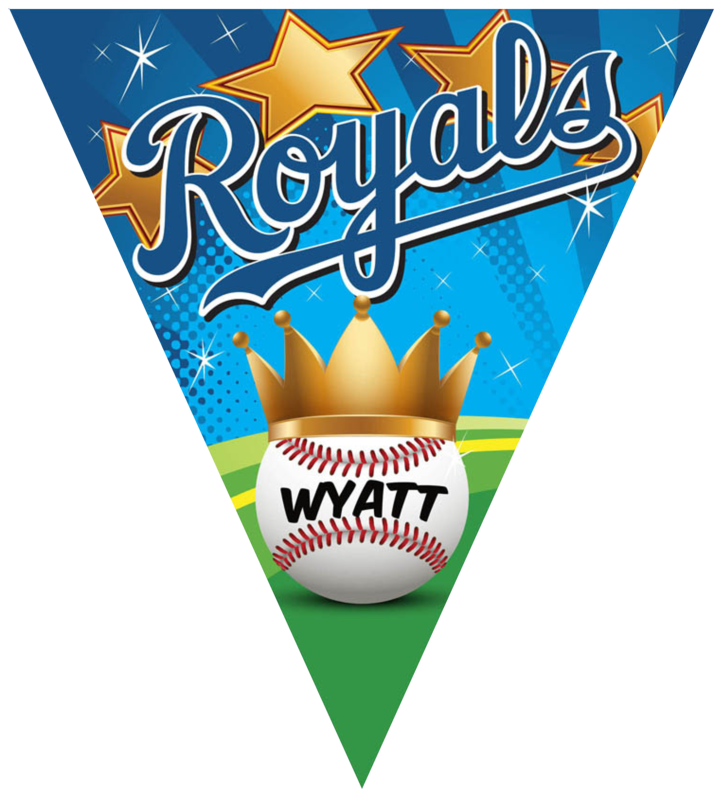 Our Triangle Individual Team Pennants will stand out in a crowd with our signature designs. You are purchasing a 22 x 22 inch outdoor Triangle Pennant digitally printed on high quality 13 oz. vinyl. The pennant artwork price includes color, name, and font changes. Any additional changes may result in an additional $25 art fee. You will receive an email notification if these charges will apply prior to your pennants being created. Your pennant will come standard with grommets and include metal clips. All pennants will be completed and ready for pick up by Friday of each week if approved by Thursday @ 3pm.